As we draw closer to the towering karst isles and islets of the bay, I’m still in awe of the numerous karst gradually fading in the horizon. 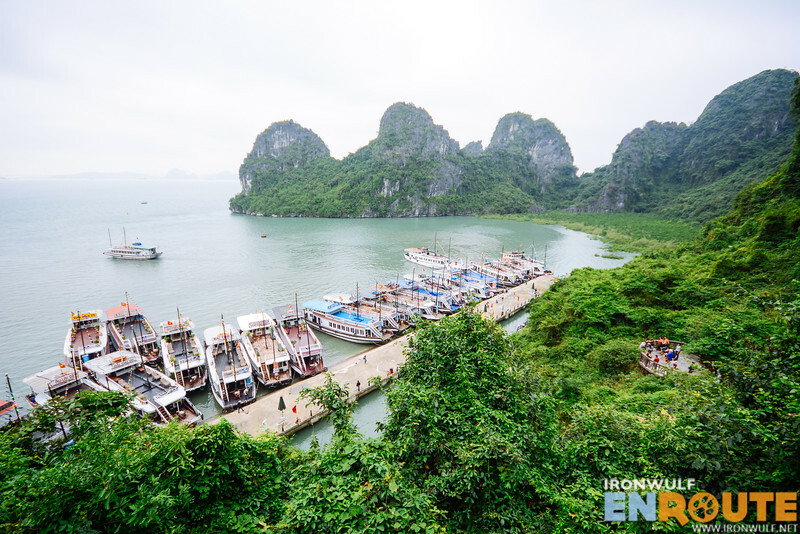 While I still have the same sentiments that the ocean waters here aren’t as clear and inviting as our very own Palawan, I must admit that Ha Long Bay impresses by sheer numbers. 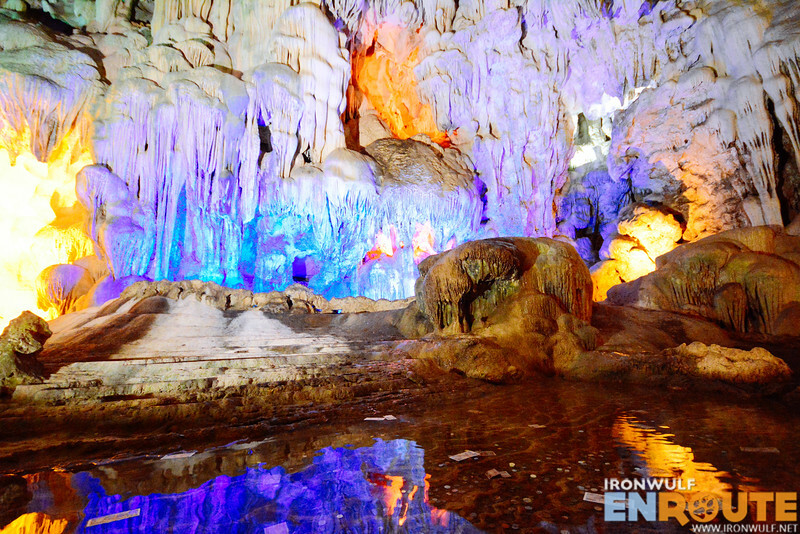 Our first stop in this tour is the Thien Cung Cave or the Heavenly Palace Cave. I haven’t been here so I was curious what it’s like. 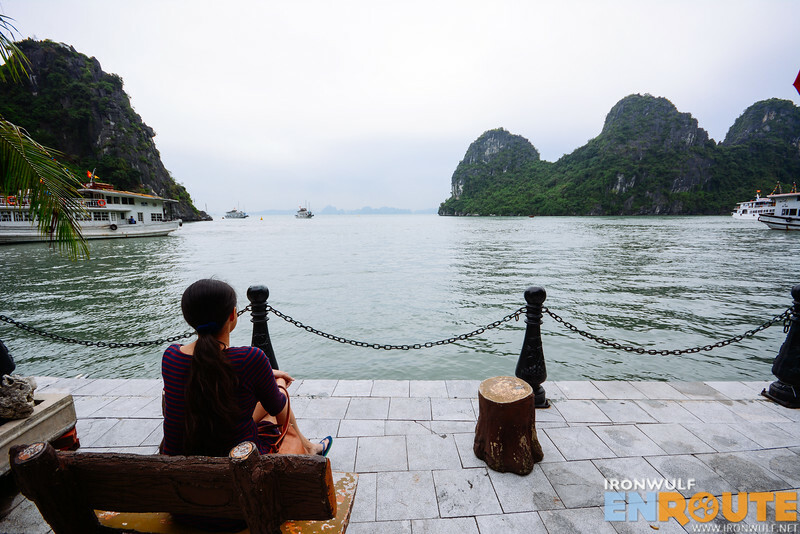 This 10,000 square meter cave is said to be the most beautiful primitive cave in the bay. After a bit of trivia from Duc, we proceeded into climbing the staircase leading to the cave entrance. 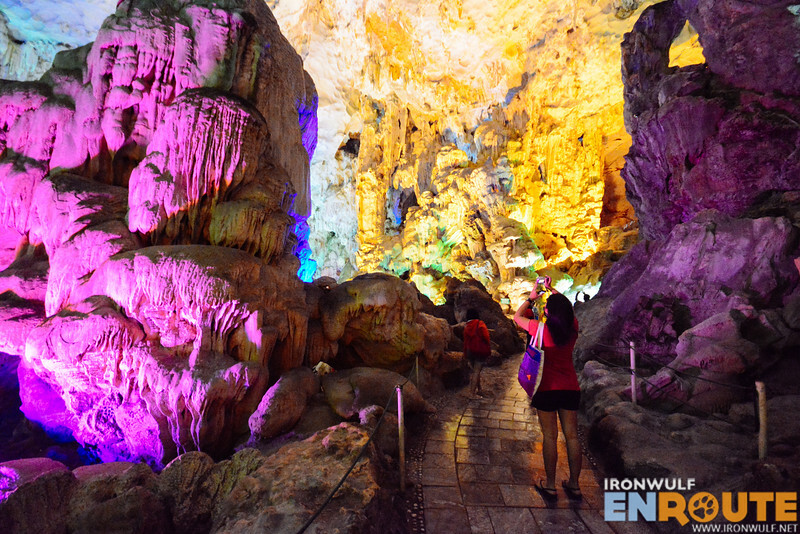 Heavenly Palace Cave, like Sung Sot Cave which I visited before, is also developed. 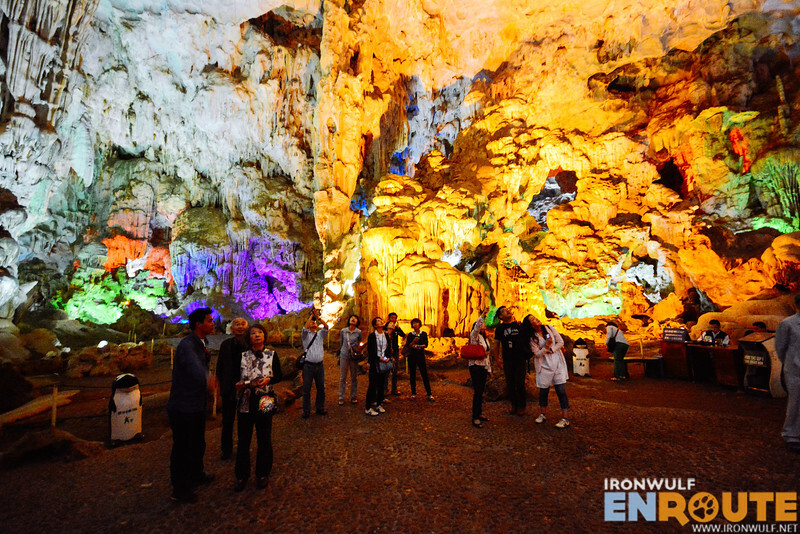 Cemented pathways and multi-colored lights illuminate the rock formations and walls of this cave. It’s a fairly huge cave and the pathway winds through several crevices before leading to the exit. I must say the cave has impressive rock formations even if we strip away those fancy lighting. It’s an easy cave to explore. I finished exploring the cave in half an hour in a slow pace, taking my sweet time taking photos inside the cave.